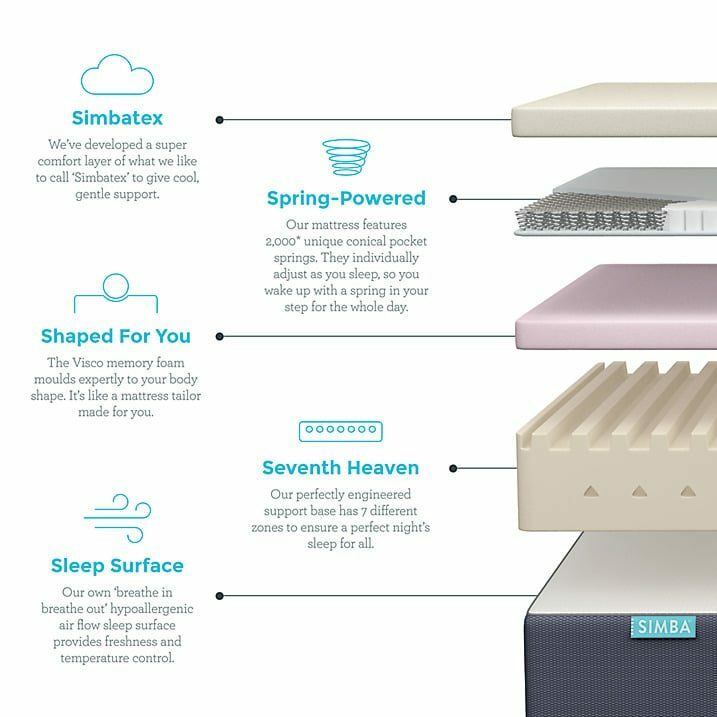 The Simba Mattress combines the familiarity of a spring mattress with the comfort and support of modern foam. It’s hybrid system of spring and foam make it great for every type of sleeper with a bounce familiar to those used to a traditional spring mattress. With a great night’s sleep at the core of their philosophy, you can’t go wrong. And the mattress get’s delivered in a nifty little box all rolled up and vacuum-packed! All in all, it’s a pretty nifty mattress and I was very impressed so decided to write this review. Simba was founded in the 1970s as a company making the thread for mattresses. And they soon became the most sought-after thread makers in the mattress industry with their thread being used in over 50 million mattresses! From there they decidedthey wanted to create there own mattress, but not just any mattress, the perfect mattress. One mattress that could support every type of sleeper and satisfy every need. Sound impossible? I’m sure they thought so along the way too but after more than 10 years of trial, error, and trial again they made it. Now let’s take a look at what’s in the Simba mattress that makes it so revolutionary. At first Simba wanted a layer of latex at the top of their mattress to add comfort. While searching they discovered nothing they tried worked quite as well as they hoped, they were all either too hard or they trapped too much heat. So they went out on a limb and decided to create their own material resulting in Simbatex, a synthetic latex that is both comfortable and breathable. This stops you getting too hot in your sleep which can cause you to wake up or get up in the morning covered in sweat. Pocket springs are the most comfortable, each spring is sewn into its own individual pocket so they can move independently of the others, this helps them move with you not against you and keeps you comfortable all night long. Simba’s spring is designed to move both up and down and in and out giving you maximum support while ensuring comfort is maintained. All good mattresses these days have a layer of memory foam, it cradles your body while you sleep giving you the ultimate comfort experience. 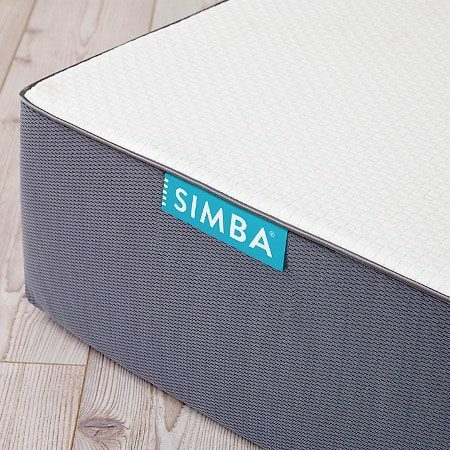 The good thing about the Simba mattress is the memory foam layer isn’t too thick and is below the springs so you don’t find yourself sinking in and getting stuck while you sleep. The base of the mattress is the perfect finish being made up of foam that has 7 individually crafted support zones throughout it. This gives really responsive support and makes the mattress feel a little firmer. The cover is fully hypoallergenic and made with “breathe in breathe out” material which helps keep you cool at nights. This temperature control helps keep you refreshed throughout the night so you can wake up ready to go. Really it’s suitable for everyone but I recommend it for people who aren’t prepared to go full foam in their mattress. The spring layer helps give it a familiar feel and bounce for those who have never slept on a full foam mattress. Apart from that it is perfect for every type of sleeper( front, back, or side) and should sort out any sorts of aches and pains you might be feeling when you wake up in the morning. 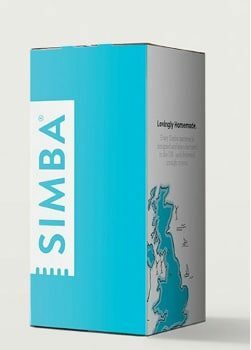 Simba offer a 100 night sleep trial which is phenomenal. So if you are at all hesitant about buying a mattress online you get over 3 months to try it out before you make up your mind. Buy it and don’t like it? You can simply contact Simba and they’ll come and collect it for a full refund. On top of that they offer a hefty 10-year guarantee so you can sleep soundly knowing you can have night after night of great sleep for over a decade. Simba ship through UPS and offer a next day delivery service, so you could well order now and receive your mattress by tomorrow! Or you can go with their premium two man delivery which takes 48 hours and they bring the mattress into the room of your choice and can take your old mattress away for recycling. The really fun part comes in the fact it gets delivered in a box! Every mattress gets delivered in a box that’s about a meter tall and half a meter wide. They have an enormous machine that can fold the mattress up into its vacuum-packed bag and the springs inside are designed to be able to be pushed completely flat and still pop back up to shape. So you position the matter in its packaging so you can cut open the plastic using the handy tool provided and the mattress will roll out onto your bed. Like all mattresses containing memory foam there is a bit of a smell when you first open so you may want to leave the bed unmade for a few hours to let the mattress air out. The price for the Simba mattress is the tremendous value given the 10-year guarantee and high-quality materials used within. They also offer interest-free financing over a 12-month period for those who perhaps can’t afford it right now. Click here to See Price at John Lewis.